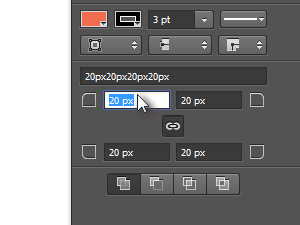 Create new Photoshop document, size doesn't matter. 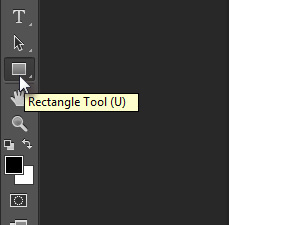 Choose the Rectangle Tool (U for a keyboard shortcut). 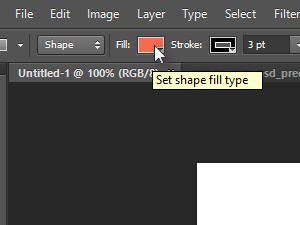 In the toolbar choose the Fill option, Stroke color and size of the stroke (see picture). I chose the orange fill and a black 3 pt wide stroke. 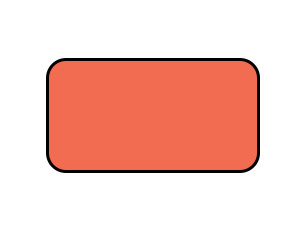 Draw a rectangle similar to mine. After the shape has been created, the Shape Properties should appear. If you don't see the Properties, click Window and choose Properties. 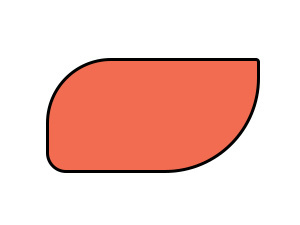 Now choose the radius to round the corners (see picture). 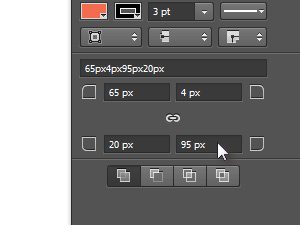 You can either enter a number, or press/hold the Ctrl key and drag your mouse to left or right. 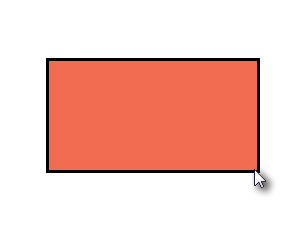 This is how my 20 px rounded corners look like. 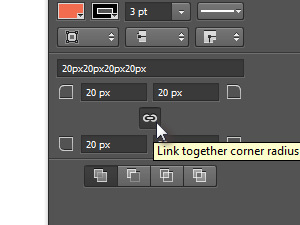 Now click the Link together corner radius button (see picture). Set different radius values for all the corners. This way you can create all sorts of funky shapes. Don't forget to explore and experiment the new tools by yourself, it's the only way to master the tool.